Today's Obituary Notification from Rod Abrams Funeral Home Ltd. It is with profound sadness we announce the sudden passing of Charlotte on Tuesday April 2nd, 2019. Charlotte, in her 20th year, beloved daughter of Drew and Heather Creswicke and loving sister of Farleigh. Sadly missed by her grandparents Ray and Eileen Robinson, Mike Creswicke and Alice Oliver and Martha and Ron Cates. Fondly remembered by her aunt Hollie, uncle Chris, aunt Shauna, uncle Rick, aunt Lynn, aunt Jenny, and her cousins Kyle, Brody, Georgia, and Bridgette. Loved and cherished by her many friends and extended family that were in her life. 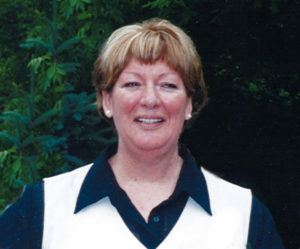 Please visit https://cyclingmagazine.ca/sections/news/former-canadian-national-team-member-charlotte-creswicke-passes-away/ and https://www.facebook.com/101939769846530/posts/2931823983524747?sfns=mo for Charlotte’s story. 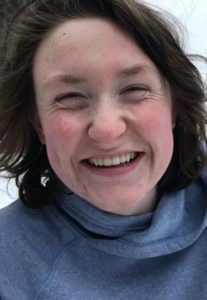 A celebration of Charlotte’s life will be held at the Tottenham Community Centre, Saturday April 27th, 2019 from 11:00 am to 3:00 pm. Sharing of Memories will be held from 12:00 noon until 1:00 pm., followed by a time of fellowship and refreshment until 3:00 pm. Due to construction at the Community Centre site additional parking at Tottenham Foodland has been made available. Arrangements entrusted to Rod Abrams Funeral Home, Tottenham, 905-936-3477. www.RodAbramsFuneralHome.com. In lieu of flowers, Memorial donations to the Mental Health program of your choice, or Community Living Association for South Simcoe C.L.A.S.S. , or Finding Them Homes (Dog Rescue), would be appreciated by the family. Peacefully at Southlake Regional Health Centre, Newmarket, on Monday April 1st,2019. Dianne, beloved wife of William “Bill” Gimblette. Loving mother of Kyle (Lea) McCulloch, Kelly (David) Burkinshaw and step-children Natalie (David) Sousa, and Ryan (Quyen) Gimblette. Sadly missed by her grandchildren Emily, Lauren, Ross, Hannah, Kiernan, Ivy, and Aiden. Dear sister of Sharon (Kent) Taylor and their son Rob. Fondly remembered by her mother-in-law Mildred Gimblette and sister-in-law Jan (Vic) Hartman and their daughter Lauryne. 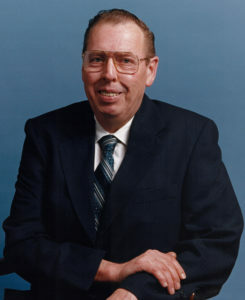 Tony passed away peacefully on the evening of March 29, 2019 at his home in Beeton at the age of 74. He was surrounded by family. He will be deeply missed by his wife of 45 years Marieanne Baxter (nee Matysek) and his children Kelly Jo (James), Jennifer (Mark), Kimberly (Justin) and Allison. Loving Pappy to his grandchildren Cole and Rhys, Carter and Avery. Tony was born into a military family where he spent his childhood on airforce bases. He was the oldest of four children. Growing up, Tony had a passion for music, sports and anything that involved using his hands – mechanics, woodworking, welding etc. Tony went on to graduate from teacher’s college and worked as a teacher with the York Region Catholic School Board. He met the love of his life Marieanne and they were married on October 27, 1973. He continued teaching, completing his Masters and went on to become a Vice Principal and later Principal retiring at the age of 55. Throughout his life Tony belonged to a number of sports teams including hockey and baseball. He continued to play hockey until his final weeks and was a true competitor in every sense of the word. He loved his guitar, his motorcycles and later in life, Tony took up the hobby of range shooting. 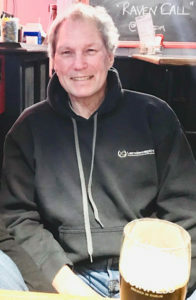 He enjoyed spending time with his family and friends, summers at his cottage in Ladysmith, Quebec, backyard barbecues by the pool and many nights spent in his workshop listening to music while fixing things. Tony was rarely seen without a beer in hand, occasionally accompanied by a cigar. Tony’s sense of humour and quick wit was with him until the very end. He will be greatly missed by all of his friends and especially his family. Cremation along with a private family service will take place at Rod Abrams Funeral Home. A Celebration of Life will follow on Sunday April 28th, 2019 at the King City Community Centre, 25 Doctors Lane, King City, ON., from 1:00 to 4:00pm. On March 20, 2019, Wendy Golding passed away at the age of 67. She was the life and soul partner of Andre Leclipteux, and mother to Hope Ivanoff, David Golding and James & Ben Ashton. Wendy’s passion for life and learning first drew her to horses. Early years riding and showing led to playing polo and riding in the Governor General’s Horse Guards as an adult. Wendy’s entrepreneurial spirit took her to the corporate world, and in partnership with Andre, owned a marketing-communications company with clients on the Fortune 500 list. A polo injury shifted Wendy’s focus with horses to one of a deeper, more heart-centred and spiritual connection. 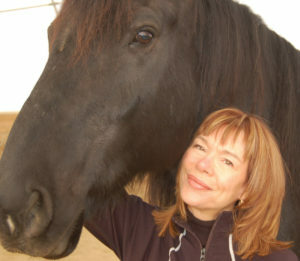 As the co-founder of Horse Spirit Connections, Wendy created the FEEL Approach, a transformational way of partnering with horses for personal growth. Graduates of this program have taken this work out around the world. Deeply spiritual, Wendy was firstly a student of Shamanism and then a teacher, bringing this rich modality of healing and learning to many. She was unstinting in her generosity of sharing her knowledge, wisdom and love. Life-partner, mother, friend, artist, mentor, teacher and more, she fought a courageous battle with cancer that ended with her passing into the spirit world. Wendy’s passion, wisdom and heart have left an indelible mark on the lives of so many, and will not be forgotten. Respecting Wendy’s wishes, cremation has taken place and no funeral service will be held. To honour and support the legacy Wendy created “Where horse interaction leads to human insight” and helping horses including rescues, a fund is being created. Anyone wishing to donate to this fund may do so either by e-transfer or PayPal to “andre@horsespiritconnections.com“. Horse Spirit Connection is registered not-for-profit corporation.